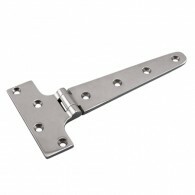 The Heavy Strap T-Hinge is precision cast and easily installed using #10 fasteners. 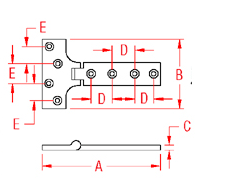 This strap hinge features a welded pin to prevent from loosening. It is made from grade 316 stainless steel for maximum corrosion resistance.